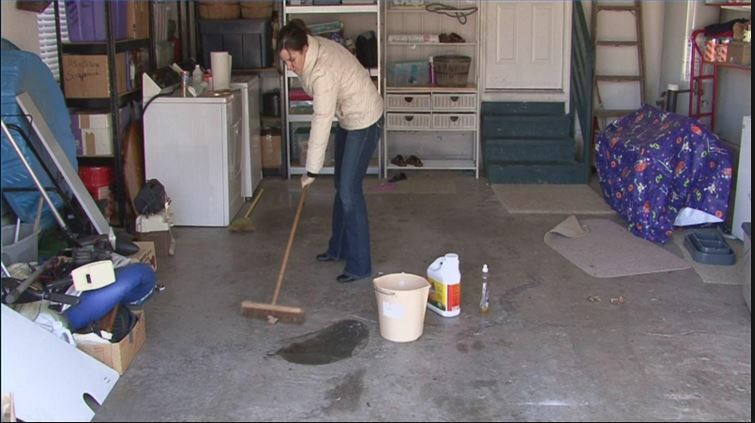 Do you have a really dirty and unorganized garage that is unsightly and that is getting on your nerves? Maybe you are so overwhelmed by all the stuff in your garage, you wonder how it could even be possible for it to have gotten that way and you don't know where to start to get it back to a good, presentable and more functional space. And on top of that, you are a very busy person with many things to manage, such as a job, a spouse, a home, children, pets and other obligations. You wonder how you will ever find time to tackle your garage, which makes you feel tired even before you begin the job. Perhaps you have felt frustrated and almost ready to give up. But now you are here reading about us at Michiana Cleaning: Garage Cleaning. We clean garages and we would be honored to proudly serve you by offering great quality garage cleaning from our garage cleaning company. Because there are so many people who really are overwhelmed by the state of their garages and who are frustrated by not knowing where to begin to tackle the massive job or who have so little time because of leading such busy lives with so many commitments, obligations and responsibilities, we knew it was a good and right thing for us to start a garage cleaning business to help people with their very real and problematic dilemmas regarding the state of their garages. Our garage clean out service can take out all the stuff out of your garage to free your garage space for us to be able to do a really, good thorough cleaning and to be especially able to get rid of debris, bugs, dirt and dust. We can sweep, dust and mop. We can wash and scrub the walls, doors, and windows. We can even clean cabinets, closets, drawers and shelves. And we are great at being able to deodorize a place that has had some nasty smells in it. You will be glad for the clean garage and the nice fresh air in the space after our garage cleaning organization has done a superb, quality and professional job for you, who are our valued customer. Your satisfaction is important to us and we aim to please.